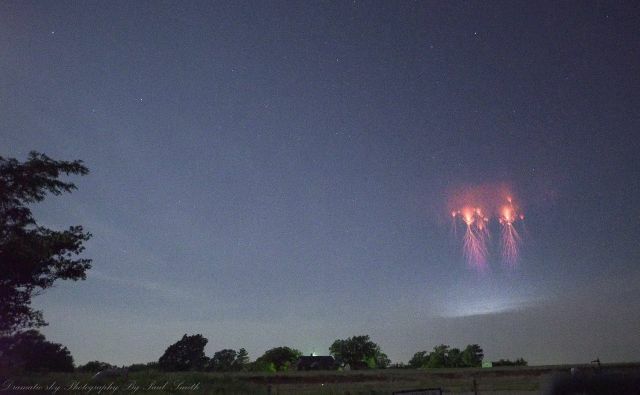 Paul Smith captured images of a rare sky phenomenon called red sprites in Oklahoma, on May 24, 2018 and states: "Lots of TLEs from Oklahoma tonight and his one stands out as my best to date. 12.55am/6:55 UTC 5/24/2018 looking WNW from north Edmond, Oklahoma. It even has the blue/purple ends on the tendrils." Paul finds it very curious that TLEs were only first documented relatively recently - red sprites in particular, once considered rare, are now being recorded with increasing regularity. And as storms passed by to the NW, Paul recorded another sprite lightning event up close in all it's glory. The clip really illustrates the electrical connection of the phenomena- how it flickers looks very electrical in nature to me. First is real time then slowed down 10 times. 'TLE' stands for Transient Luminous Event, which includes upper-atmosphere electric phenomena known as sprites, jets and ELVES. 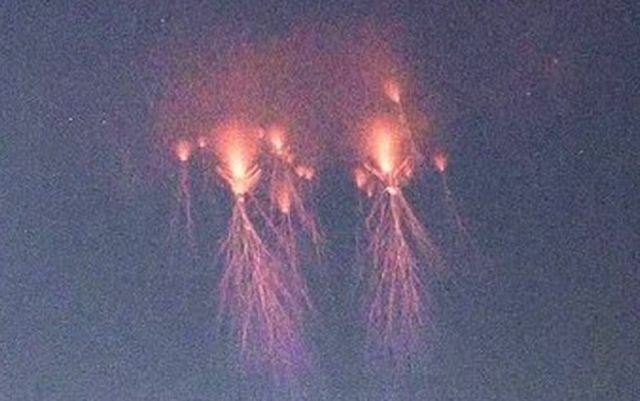 These high-altitude discharges were once considered to 'possibly occur' because pilots reported seeing them, but meteorologists discounted the idea until 1989 when the first visual documentation was made in support of the claims. Clearly, great changes are occurring on our planet. And not just on our planet.